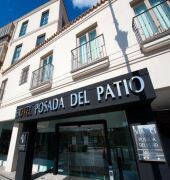 Vincci Seleccion Posada del Patio is a five-star hotel located in the center of Malaga. The property provides an easy access to the public transport, shopping area and major places of interest all through the city including the Carmen Thyssen Museum and Malaga Cathedral. 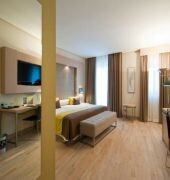 All rooms come with satellite TV with flat LCD screens, internet connection, climate control, mini bar, in-room safe, bathroom and hair dryer. 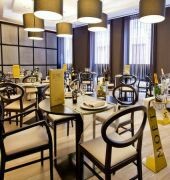 Dining options include a restaurant offering Mediterranean cuisine and a stylish bar with crystal floor through which guests can observe the whole Arab Wall of the city of Malaga. Leisure facilities consist of a fitness center and a seasonal outdoor pool. 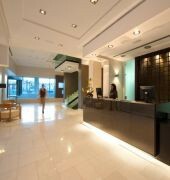 Additional services and amenities are conference/meeting room, 24 hour reception, concierge, room service, laundry cleaning, currency exchange, car/bike rental, information and booking for tours and an indoor parking with valet service. Baby sitting, dry cleaning and massage service are also available upon request.